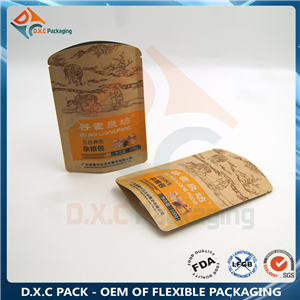 Kraft paper bag is our featured products.6 colors flexo printing is available. 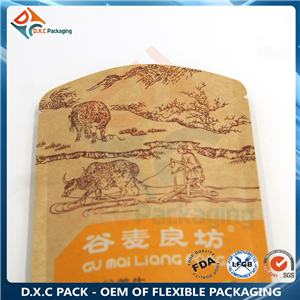 Kraft paper laminated material is accepted.Shaped bag in paper with customized window is available. It can make a more perfect shelf appearence. 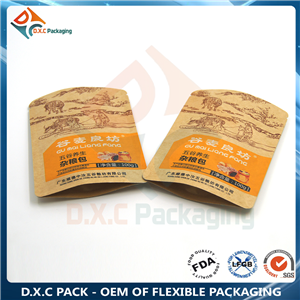 To make the products for a longer shelf life, reasealable zipper is required. 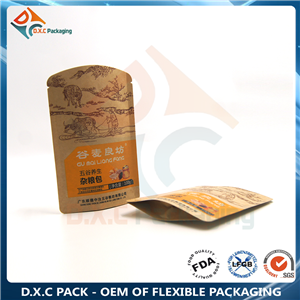 Normal Zipper and Pocket zipper is suitable for the kraft paper pouch. 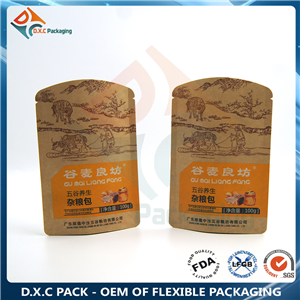 1.High barrier material structure for grains storage term. 5.Customized Window: Clients can design a clear window for attractive appearence.